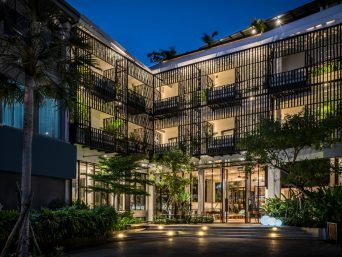 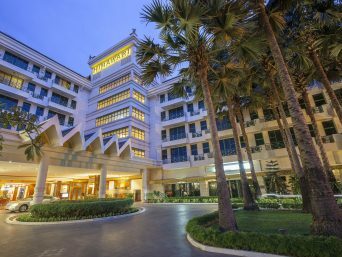 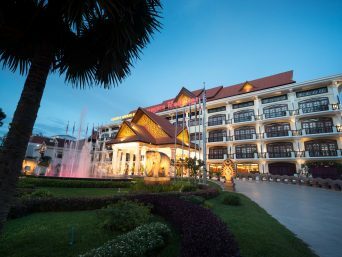 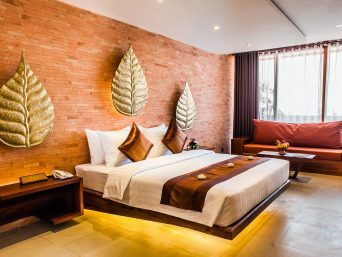 Deluxe Poolside is decorated with Cambodian artifacts and local crafts create an authentic feel to the room. 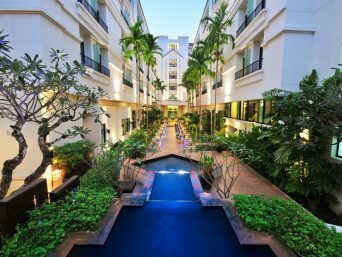 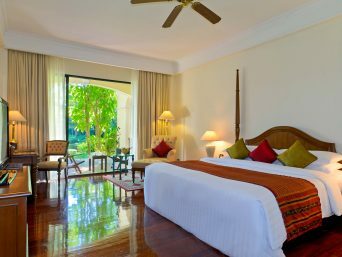 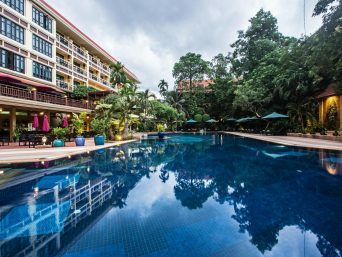 Enjoying breathe taking views of the lush tropical garden and swimming pool from the private balcony. 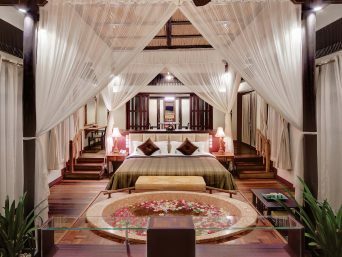 The Mansion Suite are perfect choices for a couple who travel on their special occasion, especially on their Honeymoon Trips. 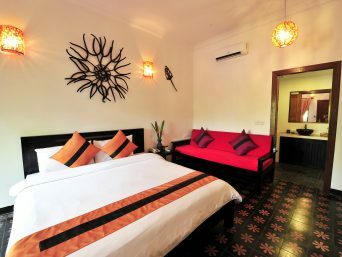 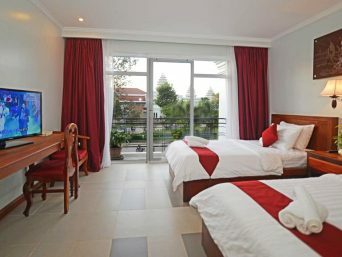 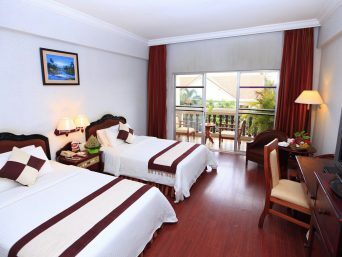 Accommodation in a spacious room occupied with a king size bed and spaces of the sitting area. 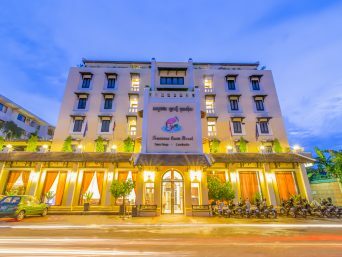 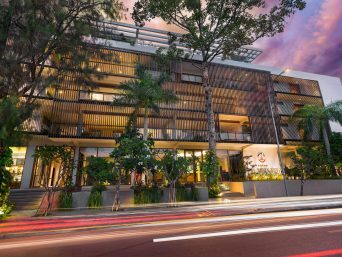 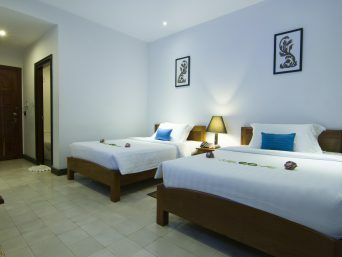 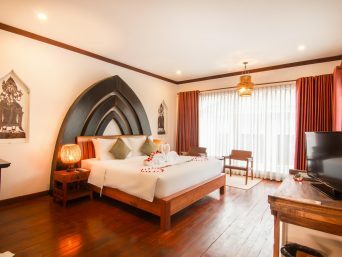 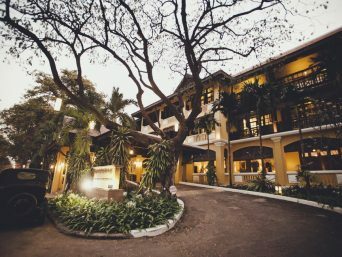 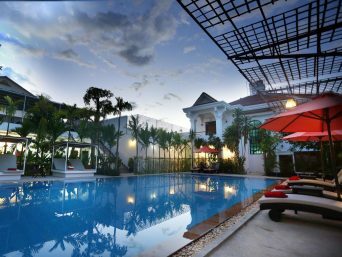 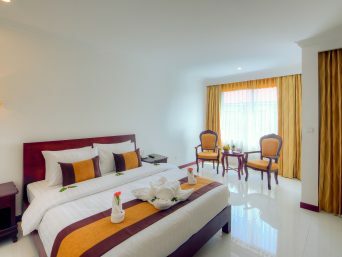 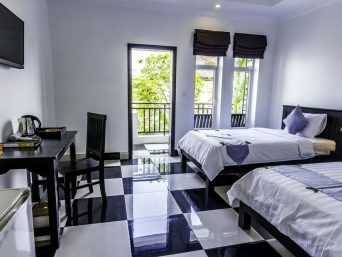 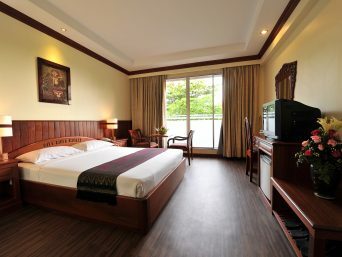 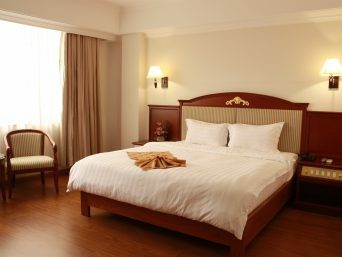 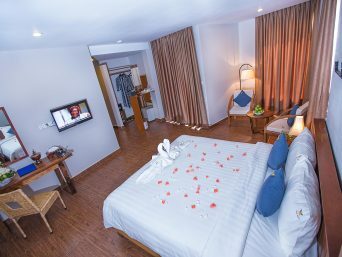 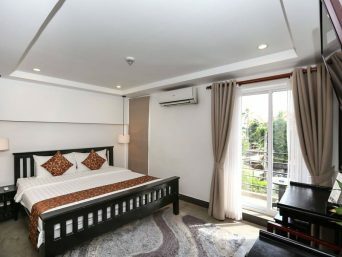 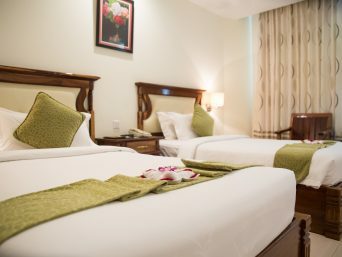 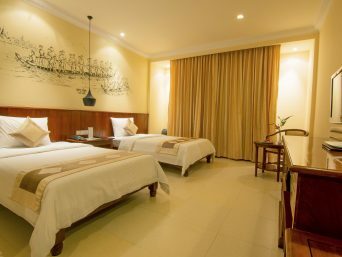 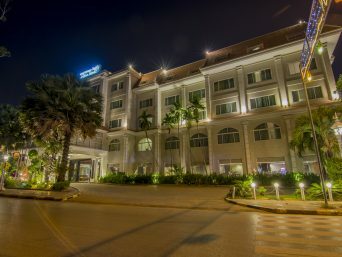 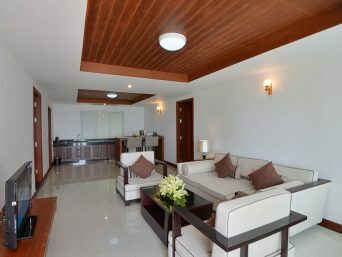 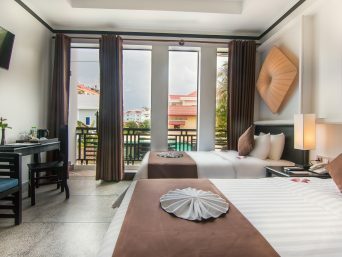 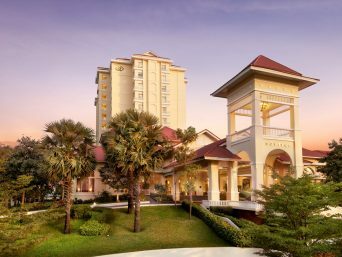 Ideally for a family of 4, accommodated in 2 connecting suites include a king sized bed and 2 single beds and spaces of sitting area. 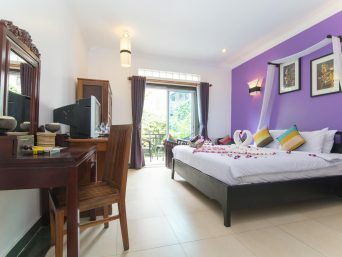 A private balcony and dining table is set for a stunning view of a lush tropical garden and swimming pool.